What would life be like without money? 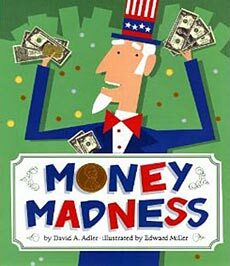 Adler asks readers to consider this possibility and the problems it would create, and then goes on to trace the history of our monetary system, from hunting/gathering and the barter system to paper/coin currency. Colorful, computer-generated illustrations add humor and help clarify concepts. 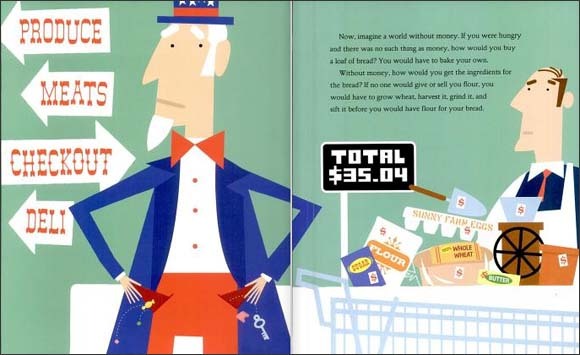 In their review, School Library Journal called this book "a useful as a starting point" for teaching money. We did notice that few pages suddenly get quite complicated (inflation, fluctuations in US currency against other currencies.... yikes!) Be sure to look through the book before reading it to you class to see if you should skip over some sections depending on your audience. You may also want to check out other math books by David Adler. He really does have a great way of communicating math in language that kids can understand AND find entertaining. 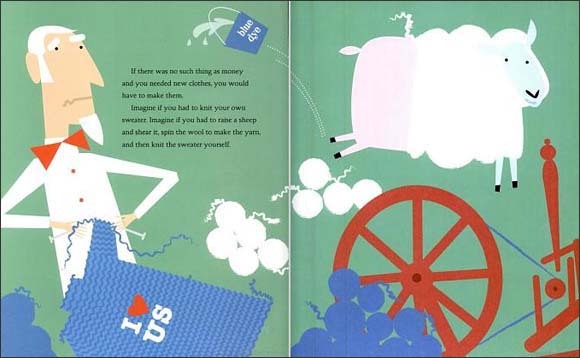 To learn more about his math-themed books, click on the book covers below or his name above.